You really have to forgive me for being behind with my usual Monday post. I could make a lot of excuses, but the real reason is just that I never seem to know what day it is anymore. Our daily routine is a bit different with the Mister being a part-time student this semester, but I think he is gradually getting used to the details of being home during the day. 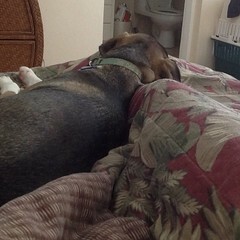 For example, he’s learned that you need to open both the top and bottom porch doors to get the most airflow through the house or it gets stuffy by about 10 a.m. And he’s learned that the dog will not poop while on her leash, even when she really, really needs to, so you have to wait until the yard is empty and then let her off long enough to get the job done before she explodes. 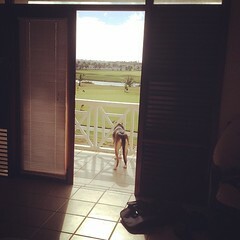 He’s also found out that I keep the bedroom porch doors closed every other Monday morning so the pool maintenance people can check the pump without being eaten alive by our dog. It’s a long list of details that keep this place running peacefully. 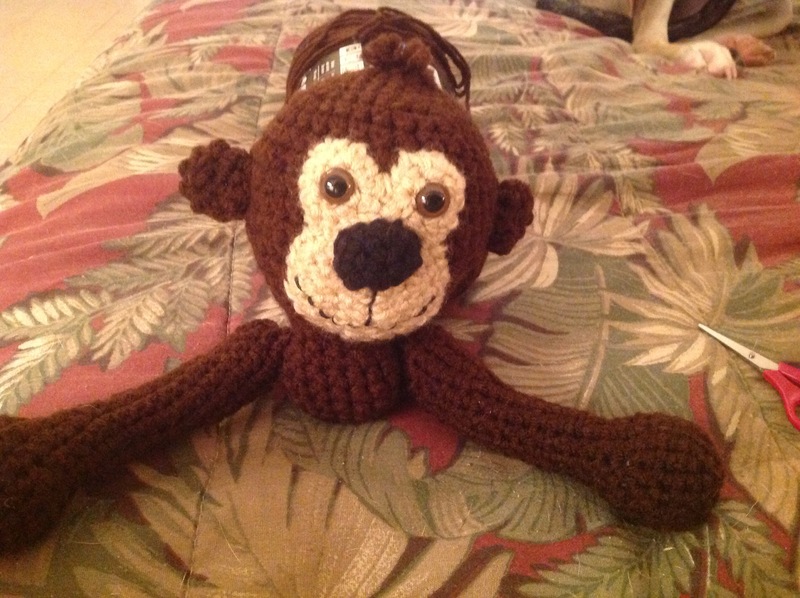 I’ve been working on rush crochet creation orders for the past two weeks for a young lady who ordered six animals last semester before finding out that she has to return home for family reasons. She’s been very considerate – letting me know as soon as she found out when she would be leaving – and would still like to purchase as many of her animals as I can finish by the end of next week. Because she’s been such a good customer and hasn’t been demanding, like so many would be in this situation, I really want to get all her animals finished. Sadly, I don’t think that’s going to happen. 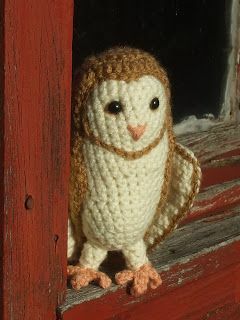 I finished #4 this morning and hope to start #5 in time to finish, but #6 – a barn owl – is definitely not going to be done. I feel badly about this, but I’ve been working hard on them and there’s only so many stitches I can do in a day. 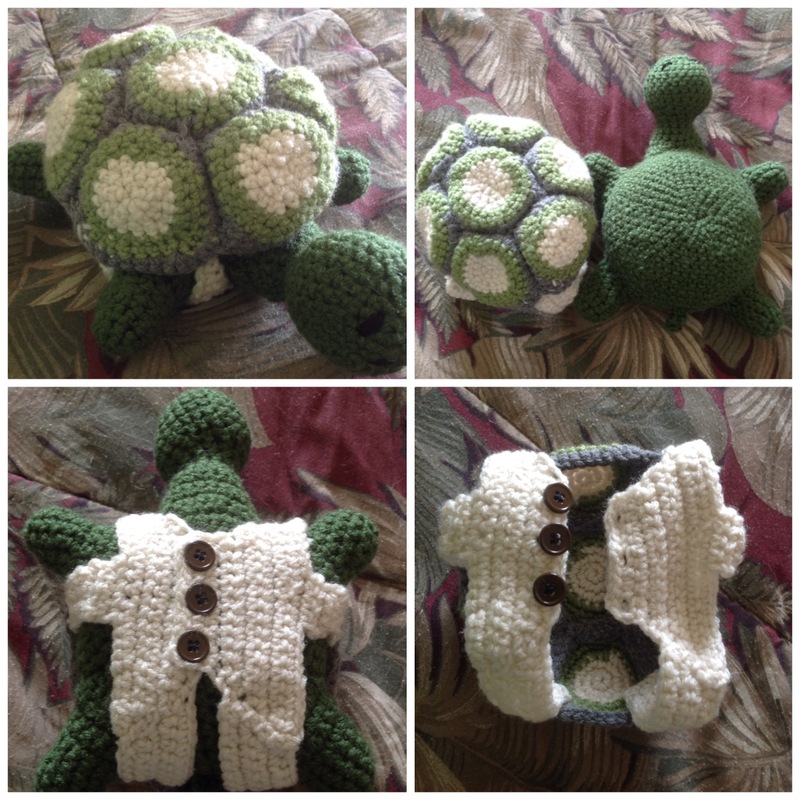 Turtle with removable shell – next time I’ll use elastic bands or something instead of the button vest; that part was too complicated. 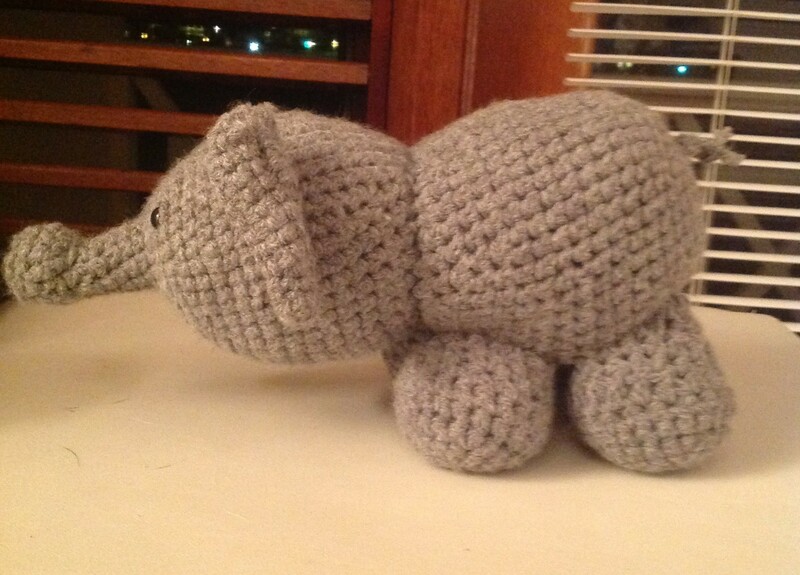 Elephant – his back legs are weighted down with heavy metal buttons to help him stand up on his own without his head pulling him over. 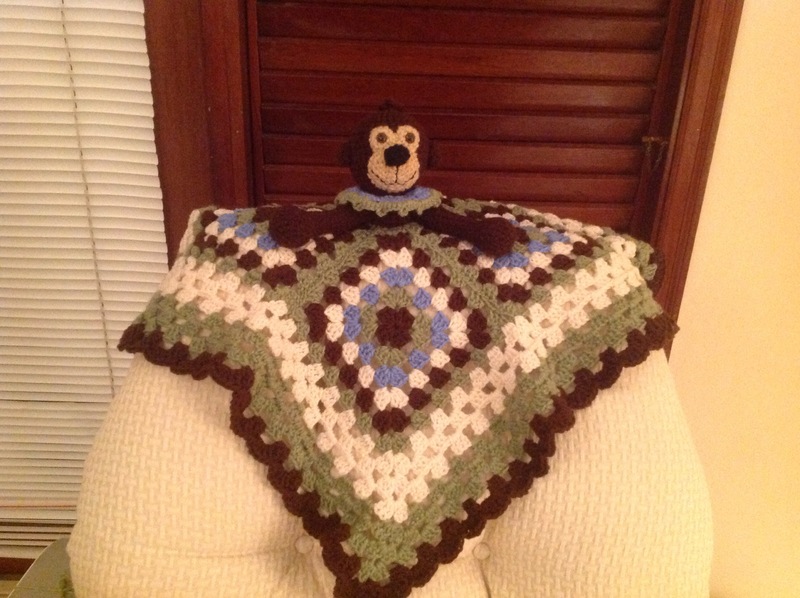 This monkey lovey blanket – a combination of an animal head and a granny square baby blanket design – I did over a weekend in an effort to work on something different. 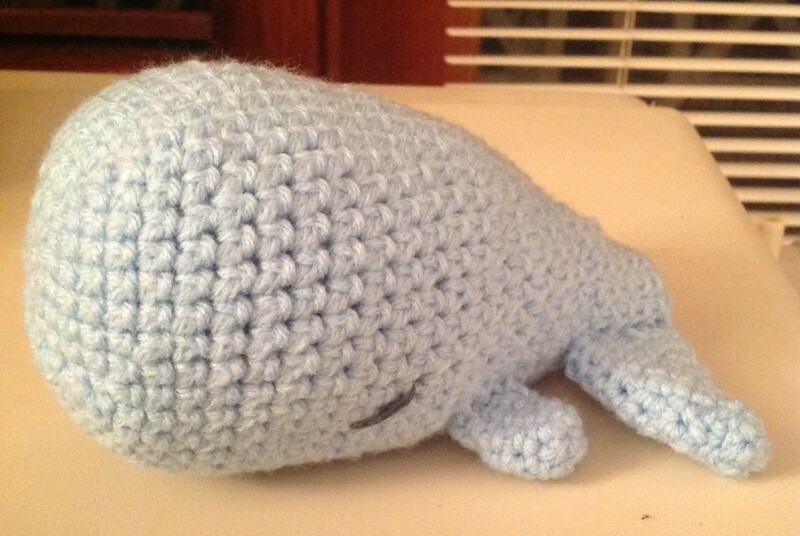 I love how he turned out, and the young lady who ordered him has requested another! Coming down the pipe next are some Star Wars characters, a penguin, a donkey, a sea turtle and some cows. Wish me luck! What have I gotten myself into…. Ok, so most of you have heard me talk about all the little Easter bunnies and chicks I’ve been crocheting for the RUSVM student community in recent weeks. Well, last Wednesday was adoption day, and even though all my animals had been pre-ordered, I still had a lot of people stop to ask about them and about placing orders for other animals. I left campus Wednesday with about 9 new animal orders (some of them for Easter chicks and bunnies, which will be the last Easter chicks and bunnies I ever make. Ever.). 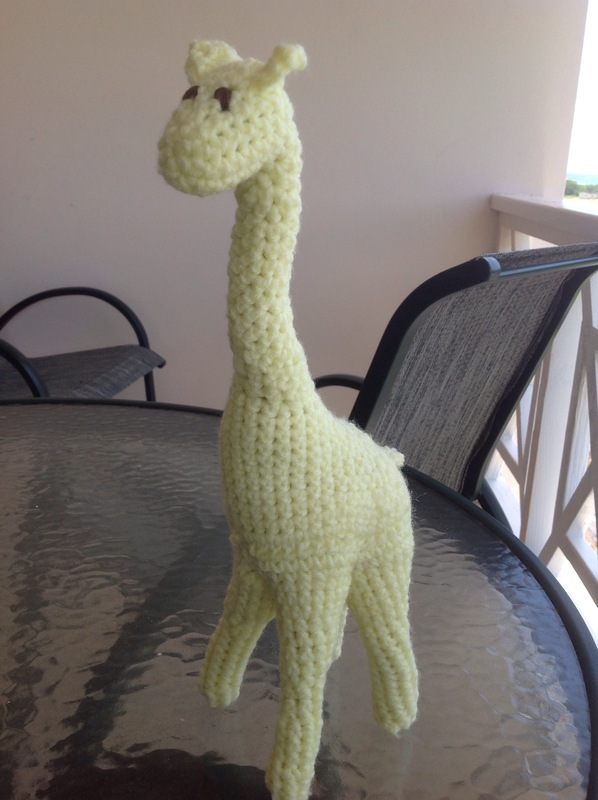 Then Thursday I woke up and turned on my computer to find that the Chesnut Crochet Creations Facebook page had blown up overnight – literally doubling its “likes” – and my inbox was crammed with new order requests! I wasn’t able to close my Facebook or my Excel order spreadsheet (yes, it’s even come to that) all day long. Every single time I checked I had new orders and new requests for price estimates. Friday evening I actually had to post that I am no longer taking new orders until I can start to get a handle on what’s already come in. Right now, looking at my list, I have three orders that have to be finished in the next three weeks (for graduating students) and 27 other animals to be finished throughout the year. 27!! That includes the four bunnies and four chicks that are repeated orders, but the other requests are at least spread out across a wide variety of projects. Here are just a few of the items that have been ordered so far. YES!! 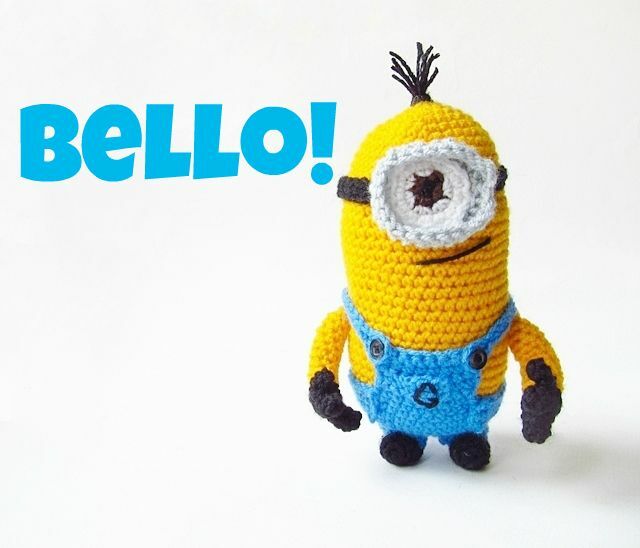 Someone has ordered a Minion!!! I am so excited about that one. While the sheer number of orders has been a bit overwhelming, the individual projects themselves shouldn’t be too chaotic once I can actually get them started. The problem right now has been a lack of supplies, but I hope to be going craft shopping in town tomorrow to find colors for my most pressing orders and then Mom is sending me a giant duffle bag full of lush, beautiful yarny goodness in April, so that should cover a lot of what I need to get done. The students seem very excited about it, and while I was on campus Friday selling a rabbit to a pre-order customer, I had three different people approach me and ask if I am the “cute animal lady.” Apparently, I have a name now, which ranks me with the Bread Chick and the Cake Pop Momma (also self-employed campus novelties). It’s a real honor; it truly is. I’m thankful that my Momma taught me how to crochet so many years ago and gave me the basic skills needed to expand into the “cute animal business.” I didn’t think I’d ever find anything to do here that would give me a sense of purpose and allow me to contribute financially to our family, but I’ve been blessed with a way to do both and I couldn’t be more grateful. I may not be making much money by U.S. standards, but as long as I can pay our electric bills and keep that much more money in our loan account, I’ll be happy. Well I’ve almost filled the barn. 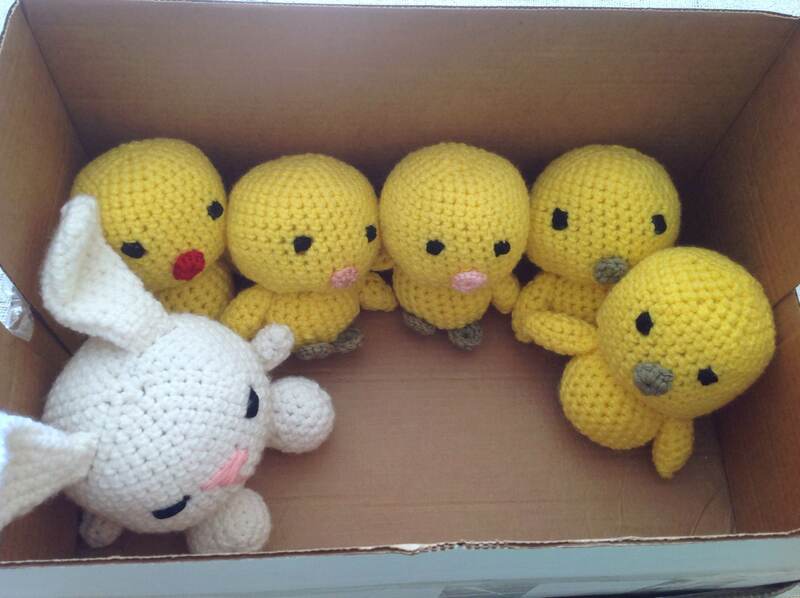 I only have two Easter chicks and two bunnies left until all the Easter crochet critter preorders will be done. And thank goodness for that! I’ve made 28 of these things total, and I can tell you I intend to never make another bunny or chick ever again. Other animals, yes certainly, but no Easter-themed orders. In other crafty news, one of the Ross students gathered together a group of students interested in learning to knit or crochet and we are having our first group meeting tomorrow evening. This student, Samantha, will be teaching those who want to learn to knit (I have no idea how) and she’s asked me to teach the beginning crocheters. Most of the comments on the Facebook page show interest in granny squares, so I’ll spend tomorrow finding good patterns for beginners and making a few example swatches to demonstrate the various basic stitches. Should be fun; I hope for a good turn out. I’ve only ever tried to teach one other person before and that was stressful, so I hope this group is more determined to learn. I’ve been working on making African Flower hexagons in the past few days, which I hope to one day turn into a blanket. 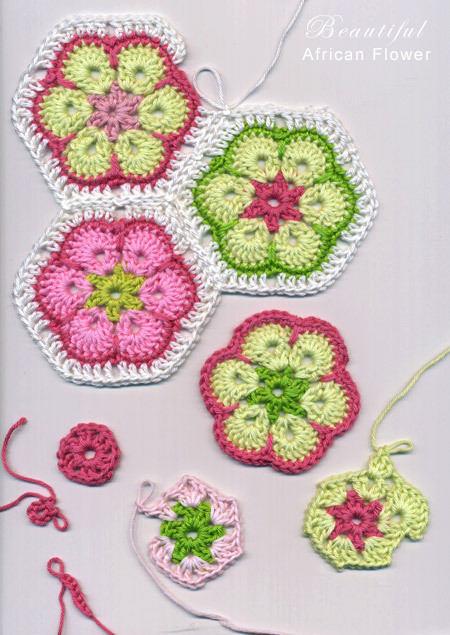 This is an African Flower hexagon – a type of shaped granny square – that can later be attached into a larger blanket. My mom is sending a duffle bag full of new yarn colors with my in-laws when they come to visit in April, so I’m very excited to get that when it comes. So many possibilities! What do you think I should make next? And I actually mean that more literally than you might think. I’m hatching chicks faster than a barnyard hen house! Five chicks and (now three) bunnies ready to go to their new homes! I posted a notice on the Ross Students’ Facebook page last Tuesday asking how many people might be interested if I decided to make Easter chicks to sell on campus before the April break – just as a feeler for the idea. I was amazed when I had to shut down the post after 18 hours because I had 13 chicks and 12 bunnies ordered in less than a day! So, needless to say, I’ve been pretty busy ever since. 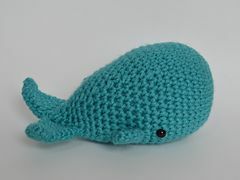 I’m averaging two animals a day, so I hope to have this first batch of orders done by the middle of March. And I already have people wanting to jump in on another batch to be done by the end of finals in April! I am both amazed and honored. 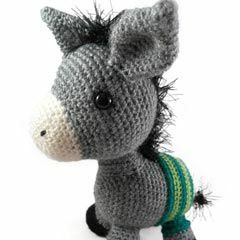 I know I’m not charging enough for them, but it was a special Easter thing, so I can call this first go-round a “sale item.” This morning a launched a Facebook page where people can keep track of their order’s progress and ask about special items (which of course depend on my yarn supply at the moment). Even though the page says in three different places that I’m working on Easter orders and not accepting new requests at this time, I’ve had three different people ask for specialized animals in the last three hours. Two of them I should be able to fill sometime this year – but one student wanted three green vervet monkeys with the Veterinary Staff of Asclepius on their bellies by the end of the semester. Good grief! 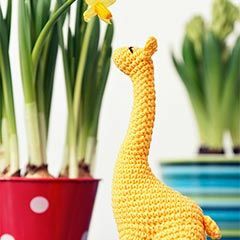 I’m not even sure you can do that with crochet stitches! Cross stitch, probably, but I’ve never learned to do that. And by the end of the semester!? 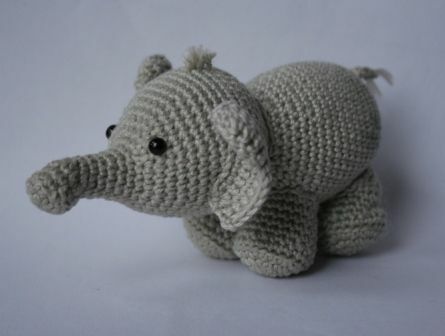 No way in the world am I that good, even if I could figure out how to make one by then. Unfortunately, I had to tell the young lady no. Hopefully she’ll find something else equally as special for her departing friends. 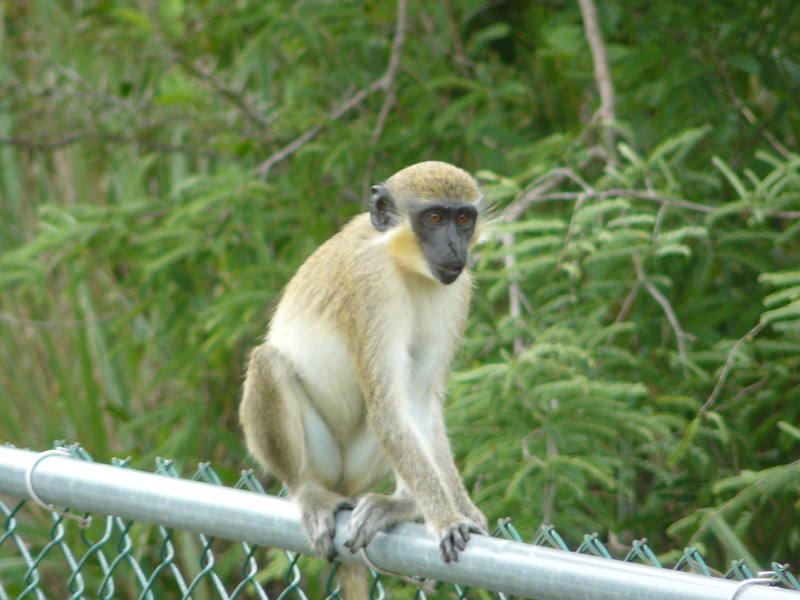 This is a green vervet, in my backyard actually! 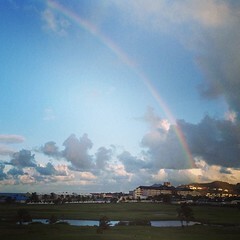 So cool that I didn’t have to steal a picture from Google! Anyway, looks like I may have found a source of income after all! Which is good, since the school PR office has never gotten back to me about freelancing and Thing 1 and Thing 2’s parents are adding Thing 3 soon and won’t be needing me for many months. 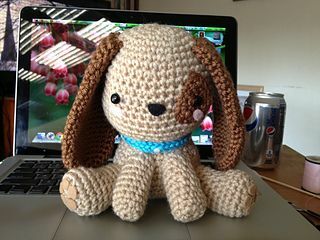 Check out the Chesnut Crochet Creations Facebook page through the link above and let me know what you think! Sorry, island orders only.